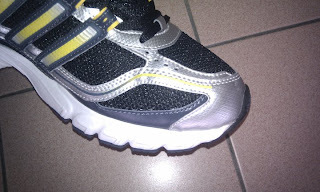 Just dig out my old smelly unwanted sneaker from my store room yesterday. 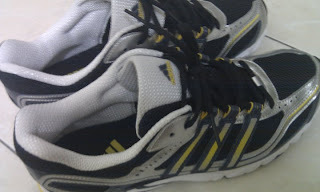 After I spotted the Adidas ads "Refresh your Gear" bout trading in old gear for new one on youthsay, A idea just hit me! I quickly wore those old sneaker after safely locked up inside the store for years. Just walk into one of ADIDAS Store located nationwide , select my adidas shoes from display rack with the "Refresh your Gear" blue tag on and test it out for few minus and VOILA trade in my existing shoes for RM 50 off . That's it ! It so simple . I practically walk out from the store with a big smile and brand new shoes. Btw. 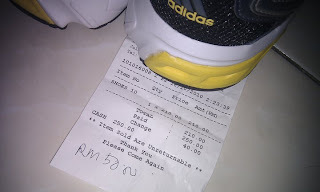 it does not matter it branded or non branded shoes, U can still trade in and the RM 50 rebate is valid for Rm 250 min purchases while Rm 80 rebate is for RM 400 purchase (footwear only).